Kimball Union Academy Athletic Director, Mike Doherty, has announced that two-time US Olympic medalist, Molly Engstrom, will be the KUA Girls’ Hockey team’s new head coach and Assistant Athletic Director. Engstrom earned a silver medal as a member of Team USA at the 2010 Olympic Winter Games in Vancouver, British Columbia, where she was named the best defenseman in the tournament by the directorate and also gained a place on the media all-star team after a seven-point effort (3-4—7) in five games. Engstrom also helped the U.S. earn the bronze medal at the 2006 Olympic Winter Games in Torino, Italy. Her 112-game career included six appearances in the International Ice Hockey Women’s World Championship where she helped the United States capture four gold medals (2005, 2008, 2009, 2011) and two silver medals (2004, 2007). She earned the directorate award as the tournament’s top defenseman in 2007. Engstrom also helped the U.S claim first place in the 2008 Four Nations Cup in addition to five second-place finishes at the event (2004, 2005, 2007, 2009, 2010). Additionally, Engstrom skated in two Under-22 Series (2003, 2004) and was a member of the 2009-10 U.S. Women’s National Team during the Qwest Tour and the 2005-06 U.S Women’s National Team for the Hilton Family Skate to 2006 Tour. 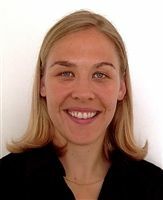 Engstrom played four years of college hockey at the University of Wisconsin (2001-05), where she was an All-American her senior season. She was also a two-time Western Collegiate Hockey Association Defensive Player of the Year (2004, 2005). She attended Culver Girls Academy where she earned 31 points in 35 games as a senior and was a team mate of KUA's Dean of Students and Assistant Hockey coach, Brook Raney. She was also Culver’s track and field MVP as a junior and played in the Indiana State Golf tournament. “We are very excited to have Molly join the Athletic Department at Kimball Union Academy. As a past Olympian, Molly brings a wealth of knowledge and experience that will benefit our student-athletes as well as the entire KUA community. In addition, Molly will have the full support of the Academy to build upon the strong tradition of the KUA girls’ hockey program, “ said Mike Doherty. “I am ecstatic about joining the KUA community. I have had wonderful conversations with the faculty at KUA about the school and its mission and I am looking forward to the opportunity to work with the students, helping them grow as people and develop as athletes,” said Molly Engstrom in an email from Sochi, Russia where she is currently finishing her Masters’ degree. “KUA’s greatest asset is our faculty. A strong faculty draws talent and develops it – it is very simple. Molly is at the pinnacle of her profession. She is bright and articulate and well rounded in her education and her outlook on life. She will be another fabulous role model for our students and her new colleagues as we all learn and grow together,” said Mike Schafer, Kimball Union’s Head of School.